Welcome to The Fertilizer Institute’s Election Center, where the focus is encouraging all TFI members and employees to be Fertilizer Voters in 2018! Below are tools to help your employees check their voter registration status, register to vote, vote early and find their polling location on election day. Also provided below are customizable resources that can be used to encourage employee participation in this year’s important mid-term elections. 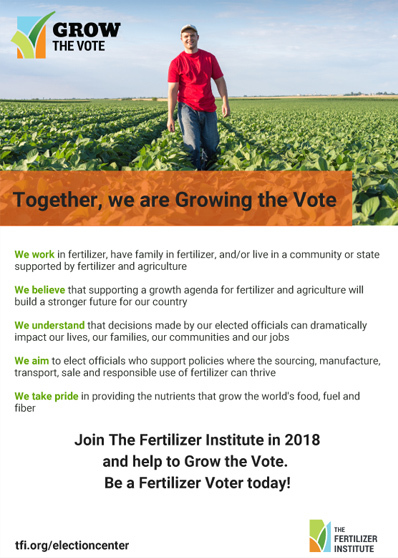 Please join us as we Grow the Vote in 2018! Elections and politics can be a tricky thing to talk about at work, but studies show that employees want and trust information about voting and elections from their employers. Who is in office can dramatically affect how your company does business, and that directly impacts their job. 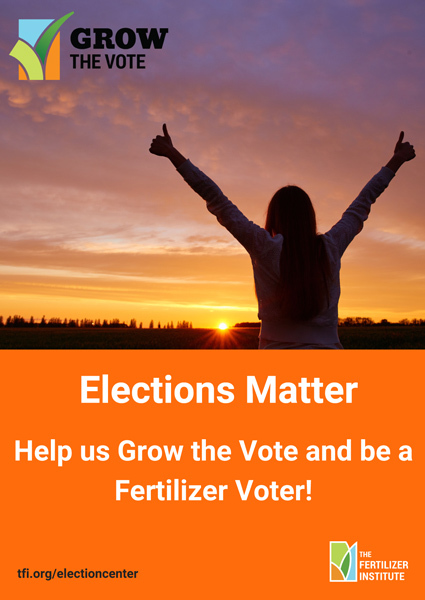 So please use the below resources to start a dialogue with your employees about the 2018 mid-term elections and help us Grow the Vote! 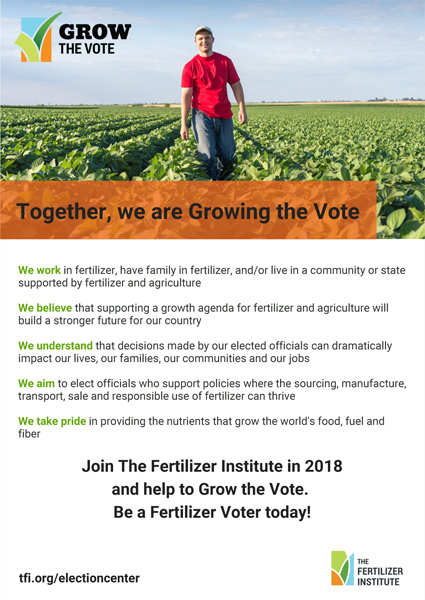 Infographic – The fertilizer industry faces many difficult policy and regulatory issues in Washington, D.C. Electing candidates who understand our industry and can help to educate other policymakers will make our voice in Washington stronger. Customizable sample content to help you announce the start of voter education efforts within your company. Urge your employees to register to vote with this customizable content for newsletters, emails and other company communications. Remind your employees about the importance of voting with these customizable messages for your company communications. A simple template to get started with mailing an election related postcard to your employees. A handful of sample Facebook posts about the importance of voting. A handful of sample tweets for your company’s Twitter account about the importance of voting. Inspire your employees by printing and hanging this poster in common areas. Print these flyers out and share with employees during meetings to highlight the importance of registering and voting in the upcoming elections. 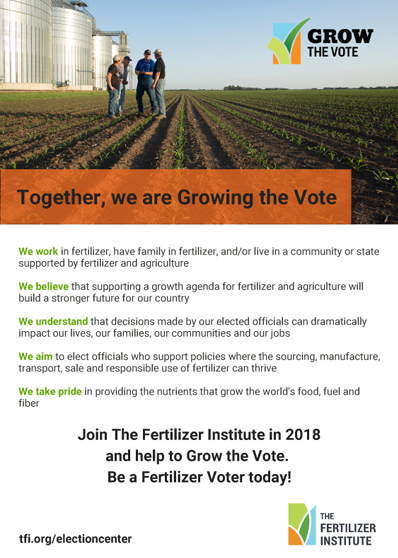 Know the positive economic impact the fertilizer industry has in your state and congressional district.